The Grand Palais, with statues sitting between elegant columns, unique architecture and more before you even enter. Place de la Bastille square. 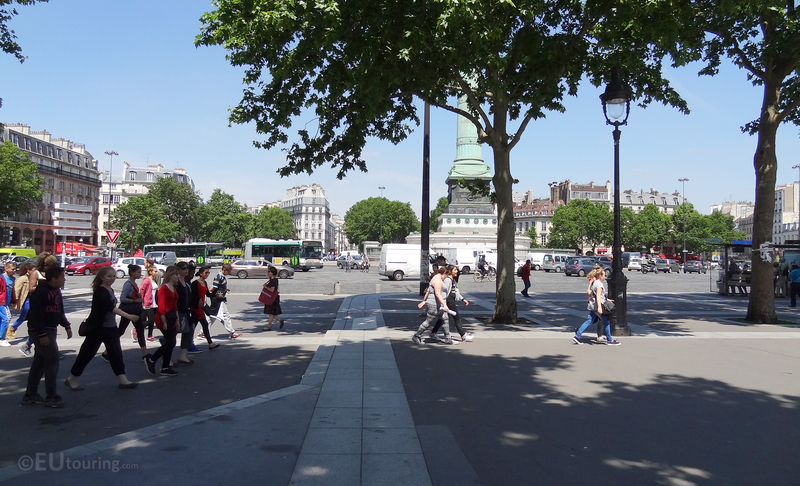 Place de la Bastille is a busy square, with a lot of traffic navigating around the Colonne de Juillet in the centre of the square. 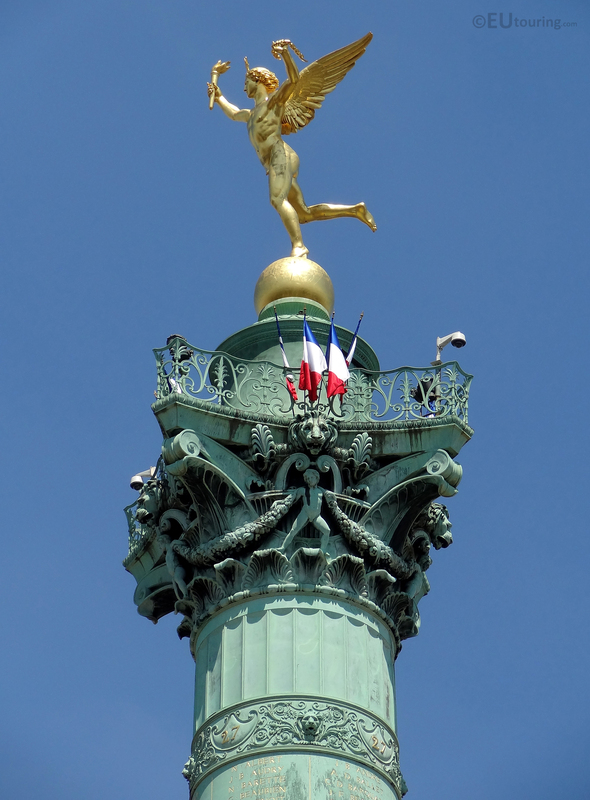 This close up photo of the top and statue on the July Column shows just how much detail has been put into the monument, including the sculpture known as Genie de la Liberte which was created by Augustin-Alexandre Dumont. 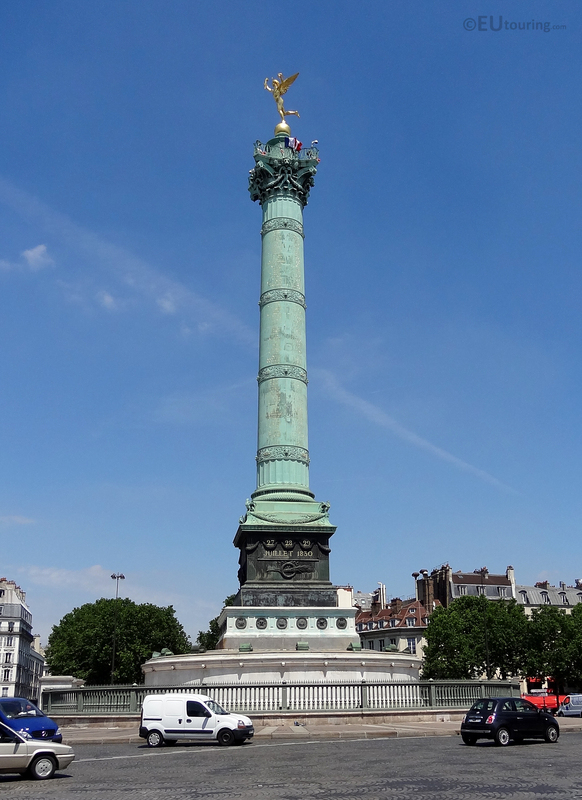 Here you can see the July column which commemorates the French Revolution, showing just how tall it is compare to the traffic passing by, along with various details over the monument, with the first stone of this monument being laid in 1830s as it is written on the bottom. These large and ornate golden statues can even be seen from a distance, with four statues, one at each corner of the bridge, this particular one being called Pegasus Held By Fame. With so many languages in the world you can also find stainless steel columns inscribed with the word Peace in numerous other languages at either side of the Wall for Peace.